This was an amazingly fun build. 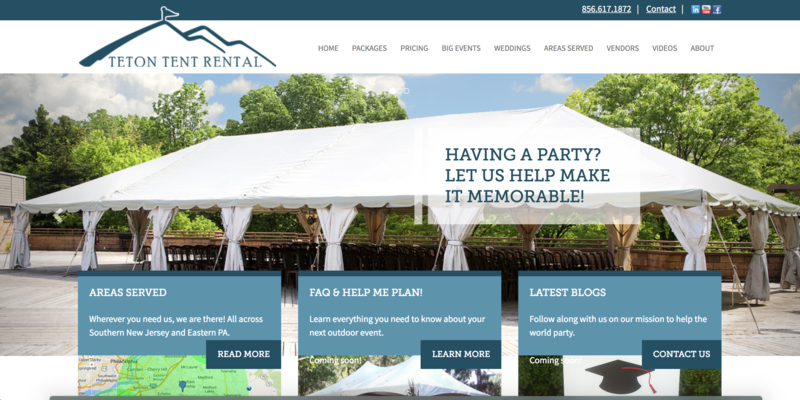 As the founder of this event rental start up, I successfully built the entire marketing platform with this website as the spotlight of the strategy. The site is built on Wordpress but all the stylings, content, photos, etc. are my creations. The website was the centerpiece of an expansive web presence with optimized SEO, Adwords, Review gathering system, Google Analytics profiles, etc.. We grew at 66% per year, every year, so something was working correctly!